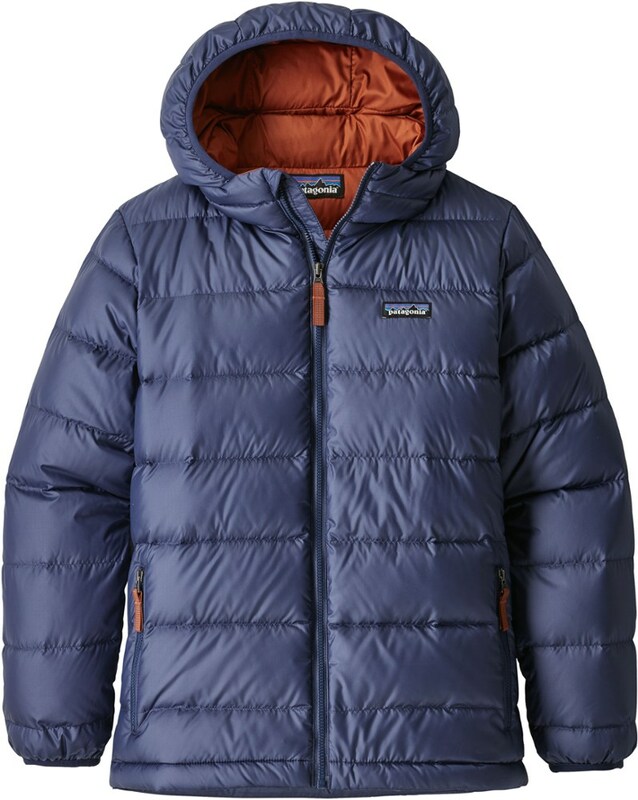 With a reversible design that offers 2 looks in 1, the boys' Patagonia Reversible Down sweater hoodie delivers windproof, water-resistant protection for many seasons to come. The first day of the new school year is just around the corner and nothing quite shows that he's ready like the Patagonia Reversible Down Hooded Sweater. No need for multiple jackets as this one compliments any mood or outfit with a print on one side and solid color on the other. 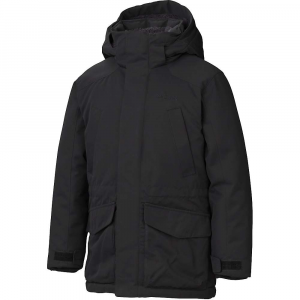 As both sides are treated with DWR, light snow and rain won't seep in, keeping him dry and comfortable on winter adventures, on or off the playground. For those extra chilly days, recycled 600-fill power down keeps him warm, while a 3-panel hood with spandex binding stays put, even on the swing set. The durable ripstop face fabric holds up to sticks and woodchips so he can play as hard as he wants without needing a new jacket. 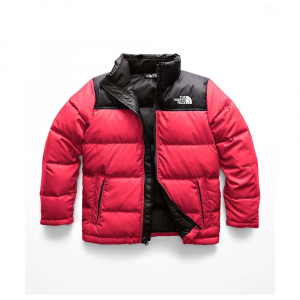 Don't waste that famous Patagonia down insulation on the adults, kids get cold too! 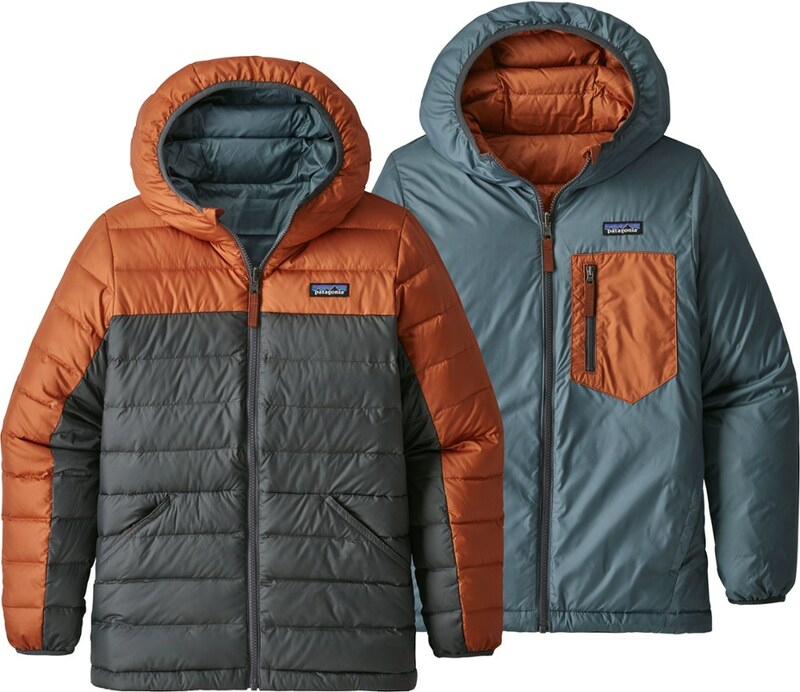 Now with the Patagonia Reversible Down Sweater Hoodie your mini-me can stay out just as long in the cold and keep ripping. 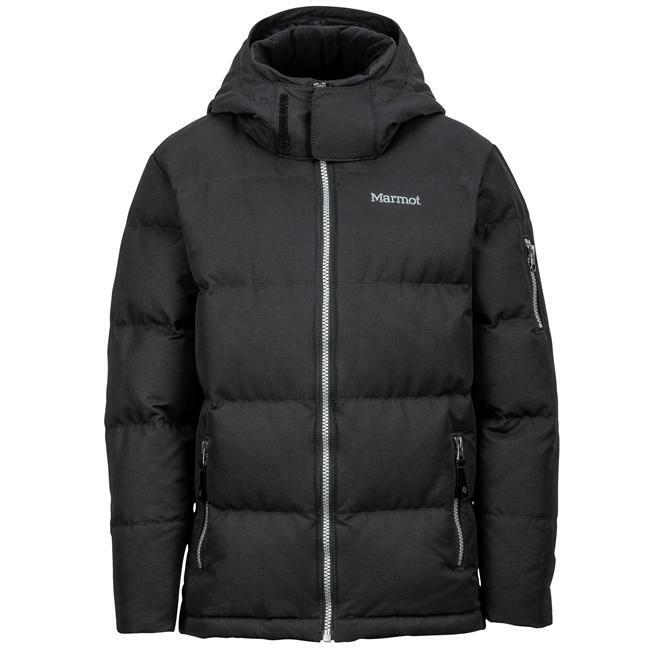 A 100% polyester mini ripstop outer shell and 600 fill power down insulation are the real deal, and the reversible design makes it possible to change up your look in moments. 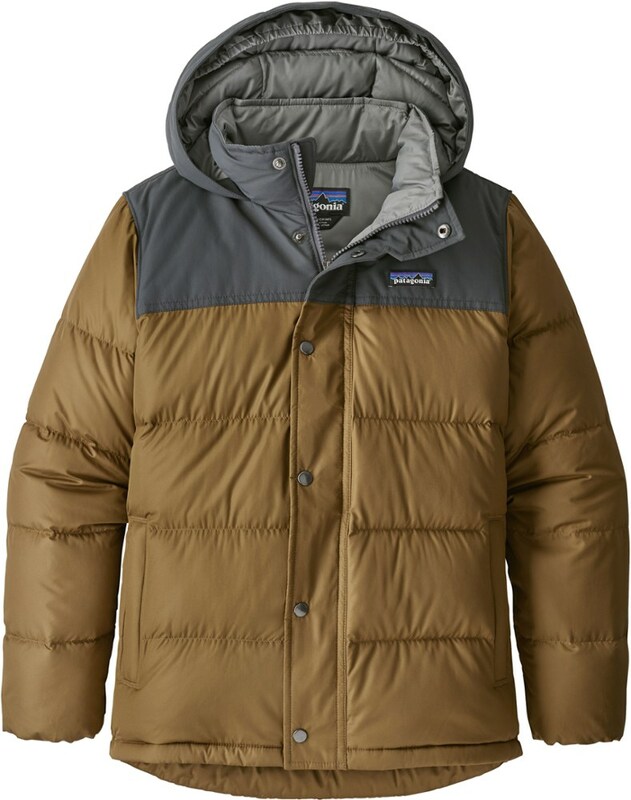 Patagonia's highly versatile, windproof Boys' Reversible Down Sweater Hoody is made of lightweight, 1.6-oz 30-denier 100% recycled polyester mini-ripstop fabric and lined with 100% polyester plain weave; both shell and lining fabrics are treated with a DWR (durable water repellent) finish for water-resistance. 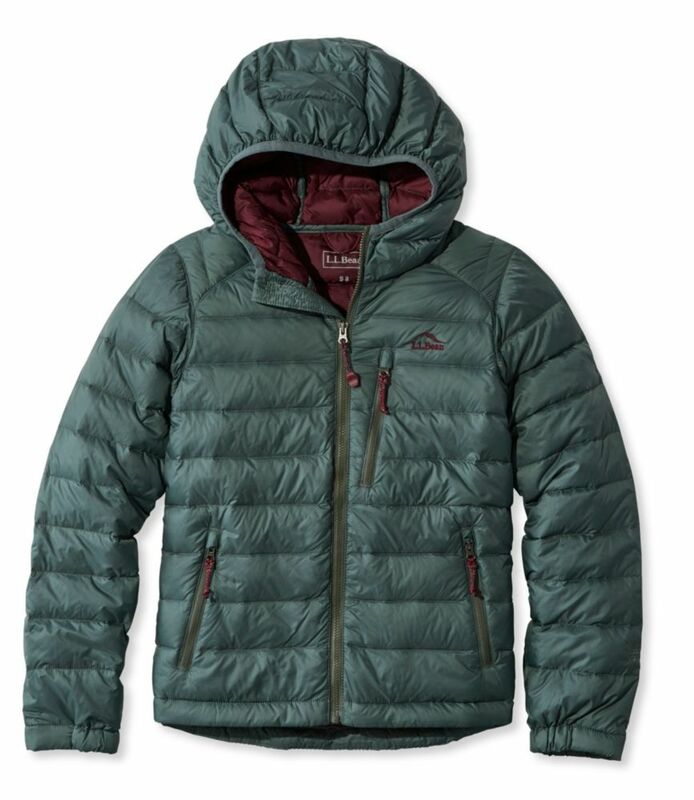 600-fill-power 100% Recycled Down (duck and goose down reclaimed from down products) provides serious warmth. Fixed three-panel hood holds in heat and spandex binding at hood and cuffs secure the fit.